Something that looks this good yet performs flawlessly can’t be real, can it? Time to open your eyes then, to the 2019 Honda Insight LX. It may be Honda’s entry-level hybrid sedan, but it still packs enough features that will electrify your senses. From its flowing lines inspired by the Honda Civic, to the refined touches that give it a more grown-up air, this piece of hybrid heaven is ready to take you out in comfort and style, while taking it easy on the environment. And now that the 2019 Honda Insight LX goes for sale in Fontana, CA, you’re one step closer to owning one, with Rock Honda. 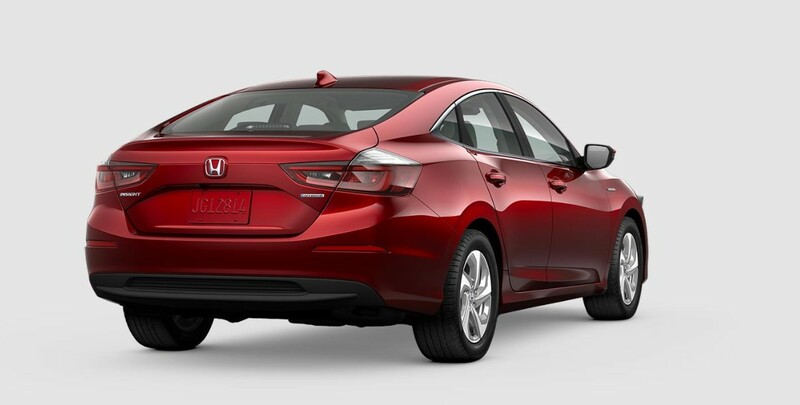 Situated in the Inland Empire, our generous Honda Insight inventory is ready with all the trims, options, and packages for customers from nearby Rancho Cucamonga and San Bernardino. Amazing in-house deals are waiting for you, right after you’ve taken the Insight on a test drive. 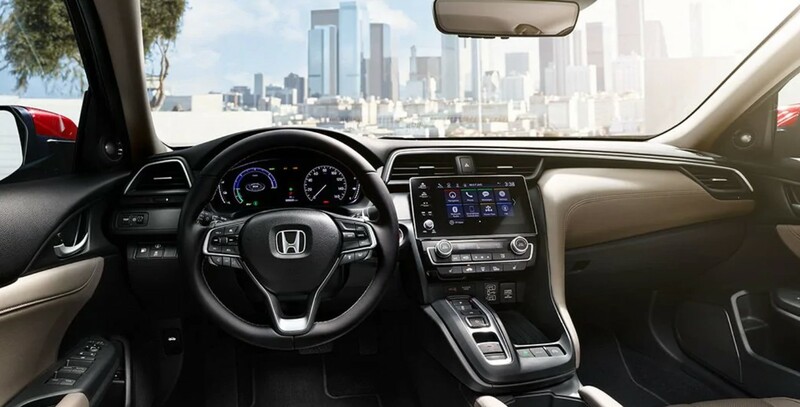 Schedule your next appointment at Rock Honda and discover more reasons to marvel at the 2019 Honda Insight. The 2019 Honda Insight’s forward motion makes short work of the wind and the road ahead, thanks to a smooth, flowing design incorporating better aerodynamics. The elegant, minimalist grille is bookended by LED headlights that project a brilliant beam in darkness. Between this and the sporty rear end, a handsome profile sits poised to attract everyone’s gaze with subtle lines and curves coming together in magnificence. A set of aero-designed 16-inch wheels complete the look. Inside, five occupants are treated to supple yet comfortable seats that can withstand the rigors of the journey ahead, while a tilt and telescopic adjustable steering wheel ensures the perfect driving position to monitor the 7-in. driver information interface. The rear seatback can be folded down to haul larger items, and six speakers matched to a 180-watt audio system pumps out your choice of tunes with incredible clarity. Bluetooth® HandsFree® Link and Streaming Audio delivers convenient communications and entertainment anytime and anywhere you need it. Truly, the 2019 Honda Insight LX is nothing short of magic for your daily drives. Right under the hood of the 2019 Honda Insight LX is a 1.5-liter i-VTEC® 4-cylinder matched to a two-motor hybrid system, delivering 151 horsepower and 228 lb.-ft. of torque. Superb power handling is taken care of by an e-CVT with Sports Mode. Never fumble on an incline again with the standard Hill Start Assist System that holds the brakes for a few seconds after you start the car, just enough to get you going without slipping backwards. And even if the Insight LX is already engineered to be efficient, the onboard Eco Assist™ System can still help you become a better driver. The 2019 Honda Insight LX opens a whole new world of hybrid power, performance and efficiency that you never thought possible. See the dream come alive at Rock Honda in Fontana, CA.